Various startups are setting out to solve real world problems, some are creating new solutions while others are revamping an industry. One startup, is on a mission to do good to the world through social volunteering and this startup is known as Involver. 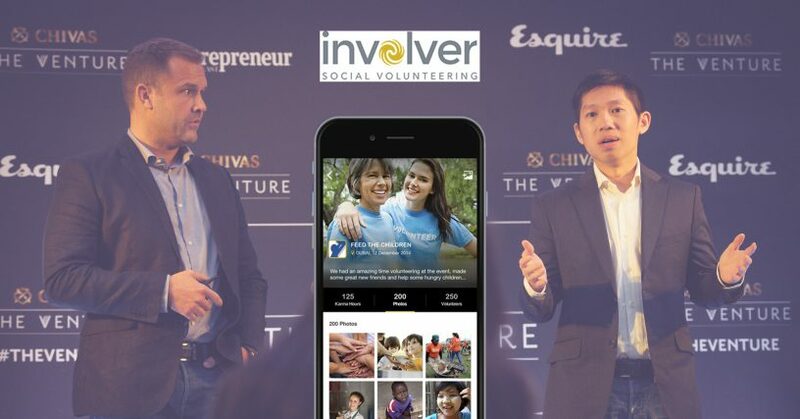 With the cause to help make a difference in various communities, Involver is founded by Kevin Chua and Chad Smalley back in October, 2015. The startup is working on an app that will connect eager volunteers to various organizations and their available projects. To date, Involver is partnered with more than 30 partners of NGOs, NPOs, charities and more. Currently, Involver users who are looking for volunteer work can be situated either in Singapore, South Asia or Middle East with organizations such as HCA Hospice, Cerebral Palsy Alliance Singapore, Step Up Dubai, Inara, SMU BP Mentoring, MCYC Community Services Society, Habitat for Humanity and YMCA Singapore. The main idea behind the startup is based on the idea that there is a barrier for those looking to do volunteer work who does not know how and where to start. In other words, social philanthropy lacks a platform. The same goes for even a corporations which may find it an uphill task to bring together a distributed workforce for contributions in terms of their corporate social responsibility (CSR). But there is more to this than merely functioning as a platform for social volunteers and that is Involver adopts a gamified app interface using bright colors and beautiful graphics. Furthermore, users who go for volunteer causes can also achieve goals in this app which will unlock levels and badges. Additionally, users can choose a cause they prefer, with categories available including Youth, Education, Environment, Poverty and Hunger, etc. Moreover, there is a feature where users can describe their attributions and specialties in order to get a more suitable position in the organization. Ultimately, due to the mobile nature of their services, volunteering is made into a simple process by groups or individuals done simply through an app. Organisations using the app to recruit volunteers are only charged a nominal fee for helping with volunteer management. Involver estimate that through their service, they could potentially save charities and non-profits up to 5% of their annual sponsored funds. Involver is a gamified application that allows public and corporate volunteers to discover social causes and in turn contribute to create great social impacts. Involver serves as a platform for those who are looking to give back to the community. The application has also appeared as one of the top 5 finalist in The Venture, a global competition launched by Chivas that supports social entrepreuneurs.